Hello and welcome to The Whimsy Brush, "Hand Painted Home"! 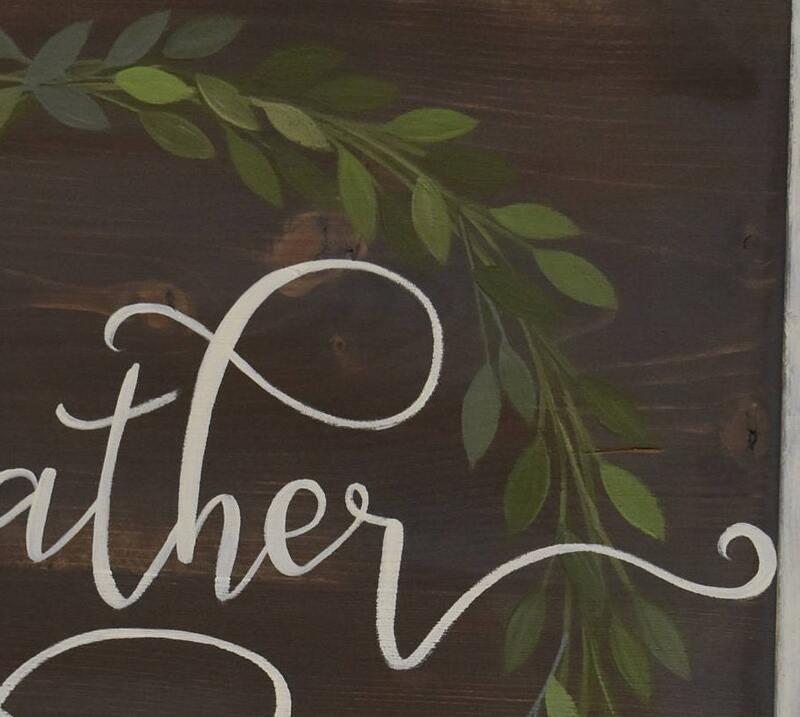 This wood sign made of pine measures 17" wide and 15.5" tall, 1" thick. Based in a greige wood toned stain (gray/brown), sanded to distress. Frame is distressed white. Sealed with matte non-yellowing varnish. Lettering is hand painted in white. Wreath vines are added in shades of olive greens and grays. 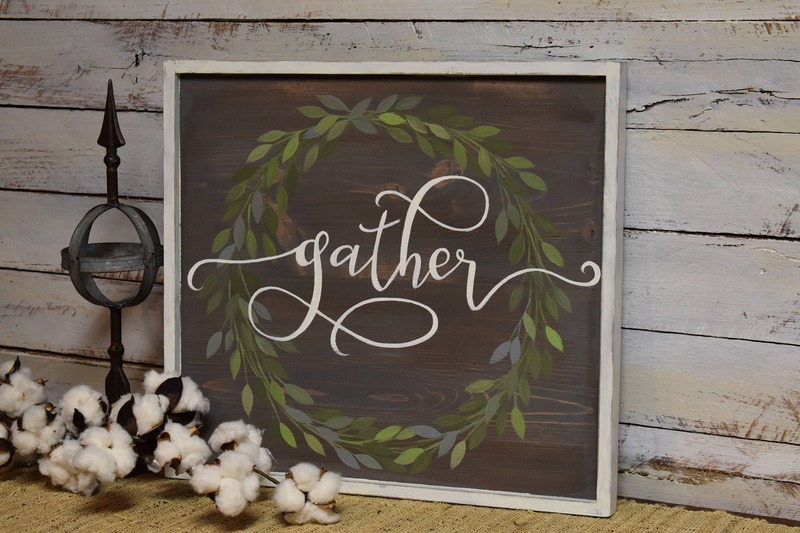 This sign is perfect to give as a gift, or place in your home for year round decor. This item comes ready to hang. *Please note, due to the natural surface of this item no two signs will be exactly identical - there will be variations in how the wood takes the stain/paint color, where there are distressed areas, and locations of knots in the wood. This should be expected and is common. Vines are hand painted and will have variations. Please be assured that your item will be as close to the item pictured as possible and will be painted with loving care. 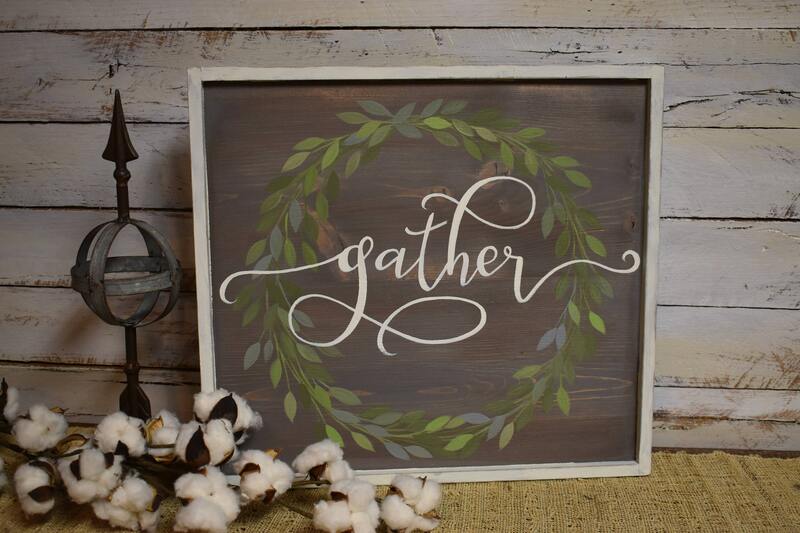 *Also, because all my items are hand painted there are brush strokes visible within the patterns and lettering. This adds uniqueness and interest in any custom hand painted item.